Island walk-in closets are sized to incorporate a central island in the form of a bench, seat, work surface, storage fixture, or dresser while still providing adequate movement space around the room. A circulation zone of 3’ | 91 cm should be provided around the center island allowing for movement, access, and room to dress. 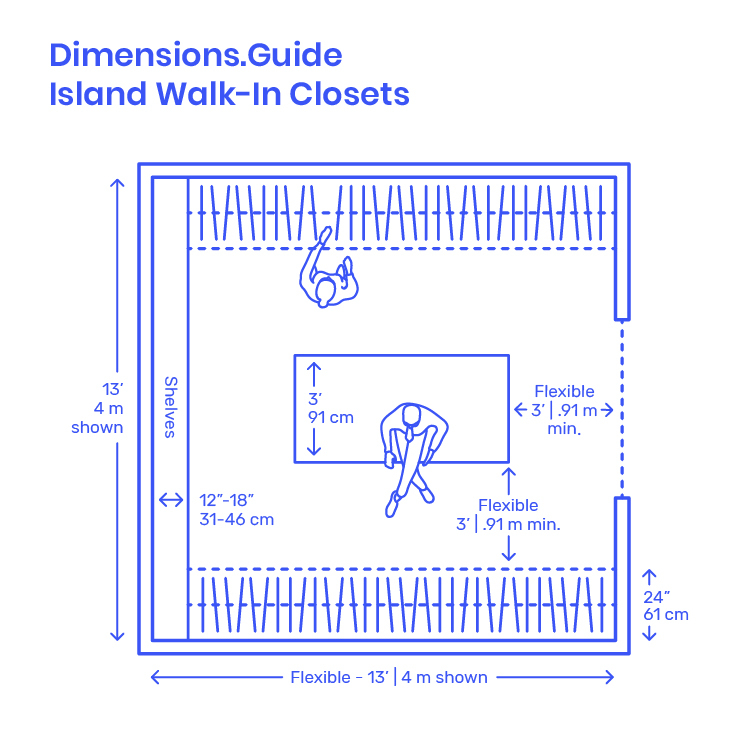 Island walk-in closets are luxury closets that are considered “oversized” and are best suited for master bedrooms and generous guest suites because of their larger area requirements.